The day Apple and Samsung have feared for so long is finally here. 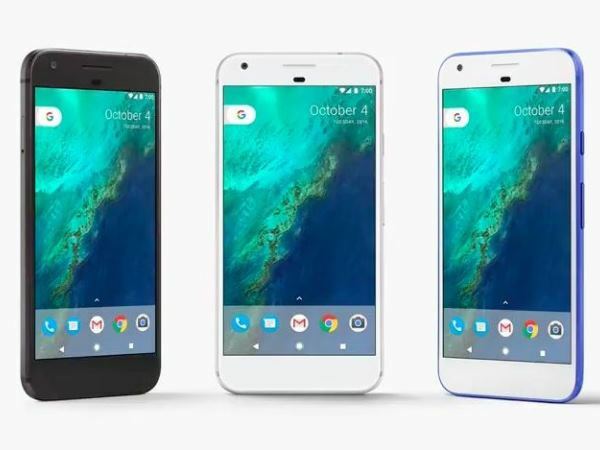 After months of rumours and speculation, the internet search giant Google finally revealed the specs of their new flagship phone, the Pixel. And it looks amazing. Built on technology supplied by Taiwanese tech giant HTC, the new Pixel boasts an amazing 5-inch, 1080p display and is powered by the latest Snapdragon 821 (Samsung’s brand-new Galaxy S7 is using Snapdragon 820). Read more: People are actually DRILLING holes into their iPhone 7 to reveal a ‘secret headphone jack’ But besides the superfast processing power, Google’s new phone also comes with Google Assistant, their version of Apple iPhone’s Siri. With your Assistant, you can have a “natural conversation with Google to find answers and get things done on the go”, says the official entry on the company’s blog. Assistant can help you with *anything*. From getting the latest traffic reports to asking for “those photos I took with Andrew on our camping trip in the Drakensberg”. Google also claims Pixel boasts the “best smartphone camera ever” using cutting-edge technology that will allow you to take crystal-clear pics even in very low light. But that’s not all. In their promotional video introducing the new device, the internet gurus poked fun at Apple – by dramatically announcing the Pixel will indeed have the standard headphone jack. This comes after Apple took the techno world by storm when they announced their new iPhone will not have the regular headphone jack, making wireless headphones the only option for users. Read more: Help, my Facebook profile has been hacked! Beneath all the gadgetry the Pixel also comes with free, unlimited cloud storage for all pics and videos taken. Even if those photos and videos were taken in high resolution. And if this isn’t amazing enough, Google promised the Pixel will have 7 hours of battery life after just 15 minutes of charging. So if you’ve always been torn between getting that new Samsung or waiting for the iPhone 7, Google’s Pixel might just – finally – be the phone for you. Currently there’s no news on when the Pixel will be released in South Africa, but pre-sales have already begun in the US, Australia, Canada, Germany and the UK. Unfortunately this new technological wonder won’t come cheap – prices start at $649. That’s a whopping R8 900!